Although the Soviet Union softened after Stalin’s death, life under Khrushchev still wasn’t easy for artists and religious people, especially in the satellite states. Being both an artist, and a devout Christian, Vilius Orvidas felt constantly harassed by the Soviet system. 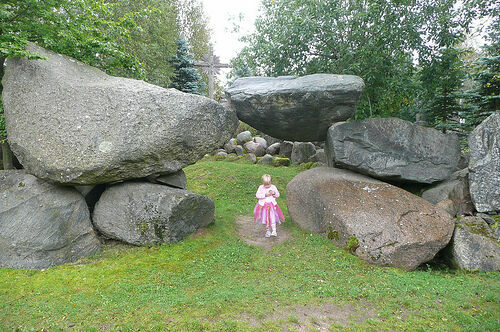 Yet from his repression, he created a beautiful and innovative rebellion in the form of an open-air sculpture garden on his family’s land in Lithuania. An exhibit dedicated to a Lithuanian partisan. On the outskirts of the small town of Salantai, his garden has become a sort-of folk legend to locals. 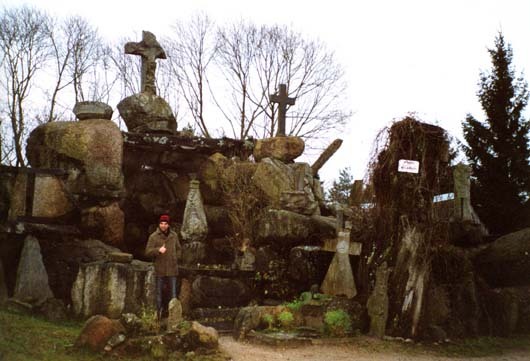 Although Orvidas was a self-trained sculptor, the idea for his garden came from his father, Kazimieras who had saved and collected a vast number of religious sculptures that would have otherwise been destroyed by the Soviet government. 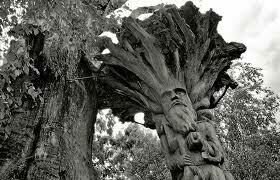 With these beginnings, Orvidas added to the works, landscaping his family’s plot into a immense world of art on the fringe of being banned. 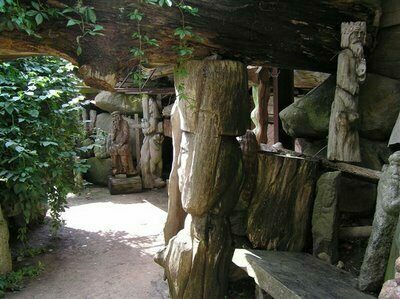 Along with classic religious sculptures made out of wood and stone, Orvidas also included massive boulders, carved tree-trunks resembling Lithuanian folktale characters and replica Soviet tanks in his garden. While his work was not done in direct opposition to Soviet rule but more out of a curious sense of art and religion, many flocked to the gardens and considered him a great rebel against the oppressive regime. He died in 1992 at the age of 40, but his garden is still maintained by his relatives. The garden is open and available to the public for visiting and wandering the majestic grounds. A WWII museum that tries to reenact history.